Use the options below to quickly find rental properties that may interest you. 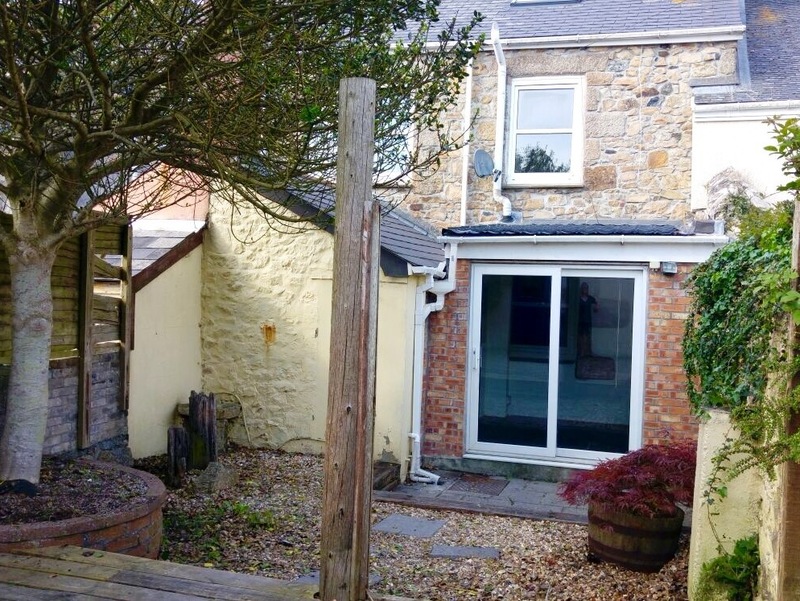 A character cottage conveniently situated for the town and local amenities including schools and doctors surgery. 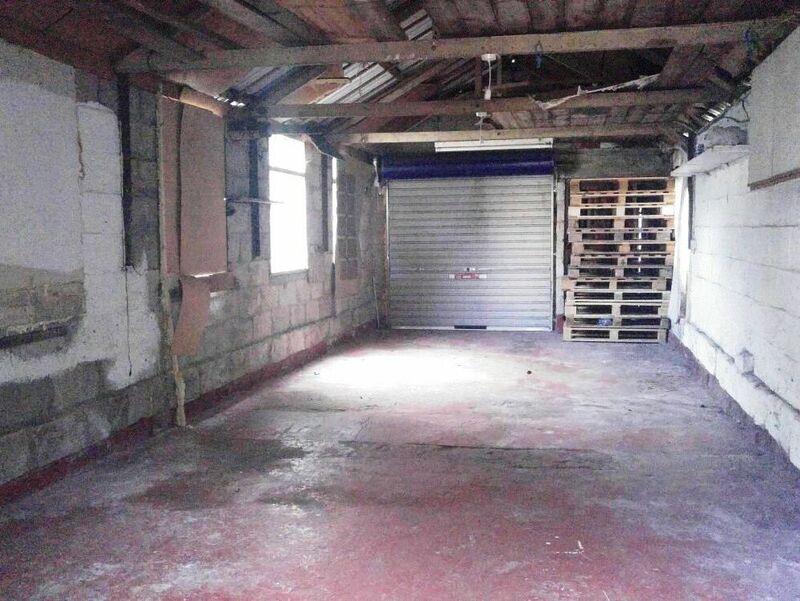 There is a 35ft garage to the rear providing off road parking for up to two vehicles and an enclosed garden providing a safe environment for pets and children. 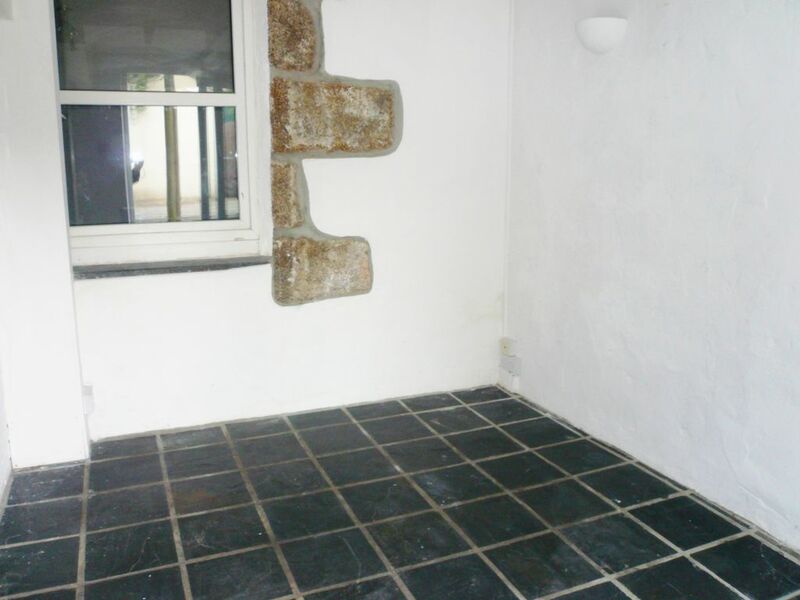 The accommodation briefly comprises of: - Entrance Hall, Lounge, Dining Room, Kitchen, Breakfast Room, Two Double Bedrooms, Family Bathroom/WC and a Loft Room with a velux window. The property is warmed by gas central heating and is double glazed. 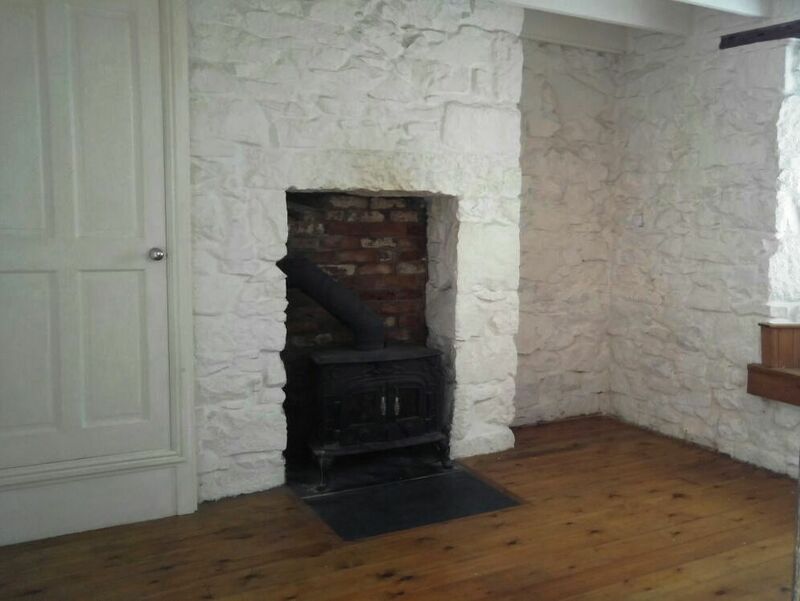 There is a wealth of character including exposed floor board, exposed stonework and an inglenook style fireplace with solid fuel stove. This property should receive your earliest attention as the true proportions can only be appreciated by a viewing appointment. 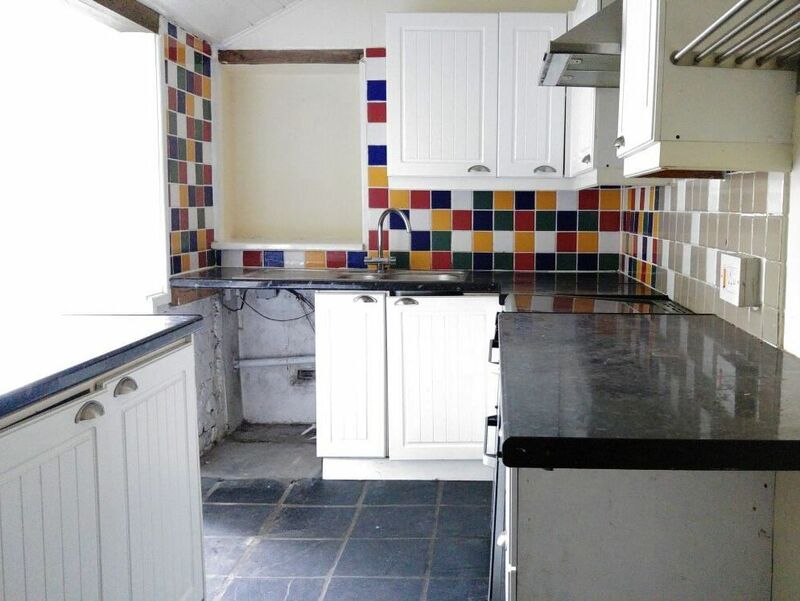 EPC: C.
There are exposed floorboards, exposed brickwork, door to the lounge and opens into the dining room. A good sized lounge with exposed floorboards, exposed brickwork feature fireplace with inset electric fire, double glazed window the front, radiator, built in corner cupboard housing the fuse box and electric meter, TV aerial point and original decorative ceiling rose. A useful area with slate floor and double glazed sliding patio doors leading to the rear garden. There is a double glazed window to the rear, space saver stairs leading to the loft room, airing cupboard housing the gas combi boiler and doors to both bedrooms and the bathroom. 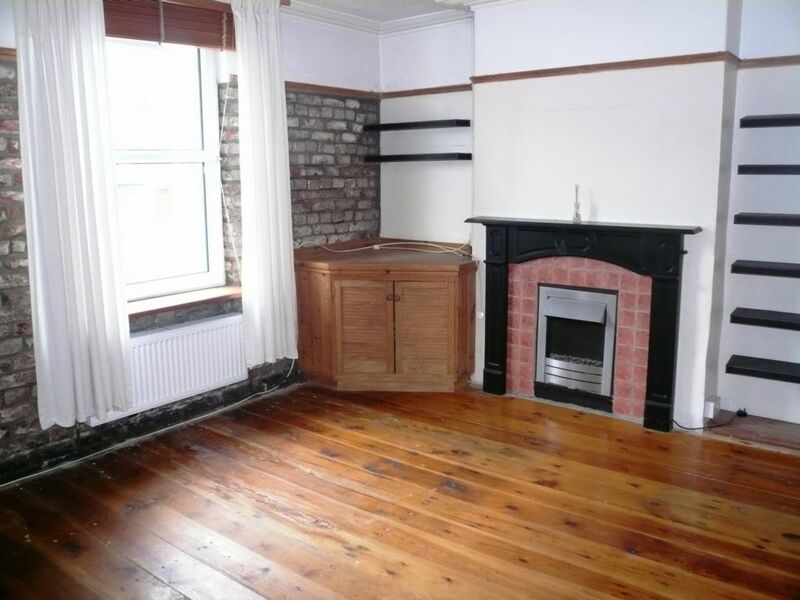 A good sized double bedroom with exposed floorboards, double glazed window to the rear, radiator and a textured ceiling. A useful second double bedroom with a double glazed window to the front, radiator and textured ceiling. A modern white suite comprising of a panel bath with an electric shower over, close coupled WC and pedestal wash hand basin, radiator and tongue and groove ceiling. There is a velux window to the rear, eaves storage, radiator and exposed floorboards. 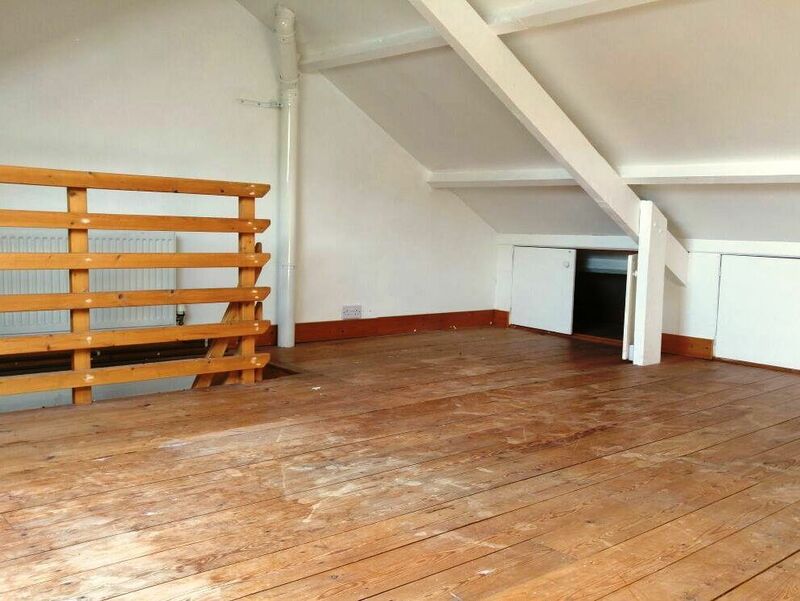 This room could be used for a variety of purposes. 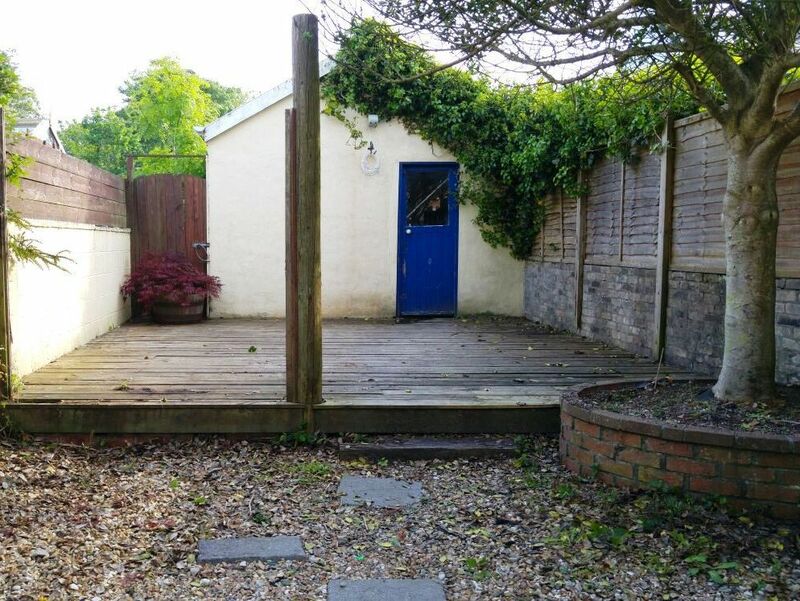 There is an enclosed garden to the rear with some tree and shrub planting, paved seating area, further gravelled area and a decked area leading to the garage/workshop. There is power and light, electric roller door opening into the rear access lane, rear pedestrian door and storage in the eaves. This property has been rated as C (69) with a potential rating of C (71). Powered By: PCHomes & The Control Panel.